Deliver an excellent first impression with your brand! This can be done perfectly by printing doormats or welcome mats with your design or logo! 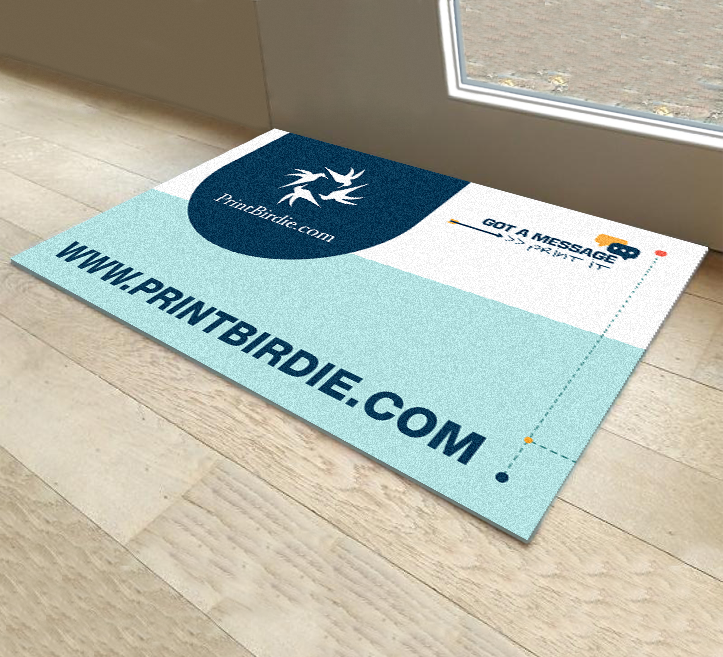 A budget mat is a price-conscious solution as a giveaway, for sporting events (eg motocross competitions) and outdoor events (festivals, barbecues and company parties). Comfort mats are then ideal for decorating entrance halls and fashion shows. Suprême mats are premium quality and washing machine resistant. Suitable for entrance halls where many visitors pass daily (eg supermarkets, restaurants, fairs, museums and more). View the differences below and order these premium and personalized mats immediately! Which files should I submit? What are the delivery specifications? What are the shipping costs for my order? Newsletter Sign up for our newsletter and stay informed!